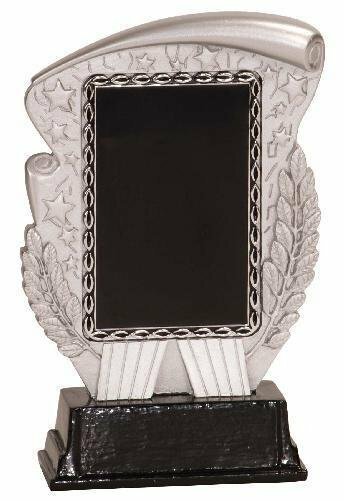 A simple wreath design frames the black insert area of this solid 7-1/4" resin award. The resin features a traditional scroll and wreath design in silver that is embellished with stars. The base has ample room to personalize, and customized with the insert of your choice this award is a great way to recognize achievement.